Or they can be made from paint grade materials such as birch and poplar. 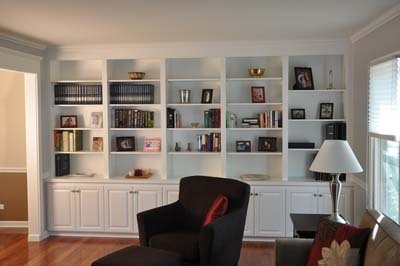 Contact us today and we will schedule a time to come out, measure the space and give you an estimate. 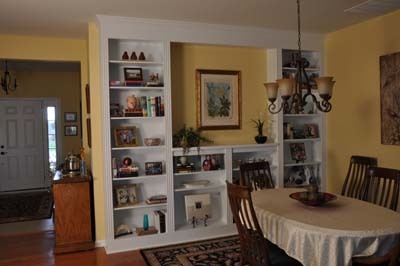 Together, we can come up with a plan to fit your needs. 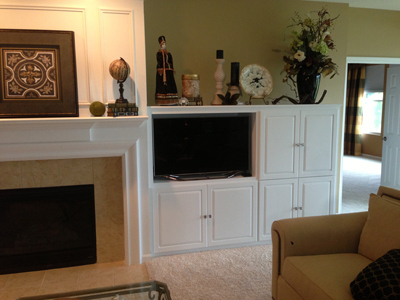 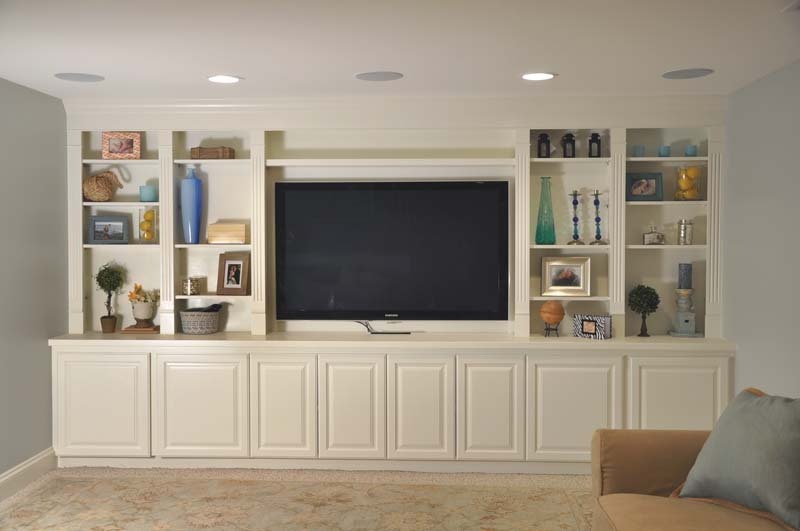 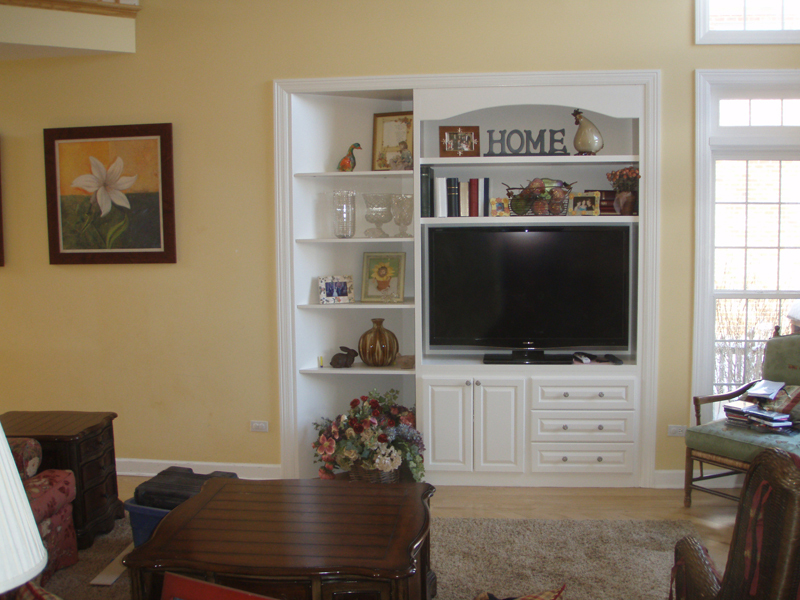 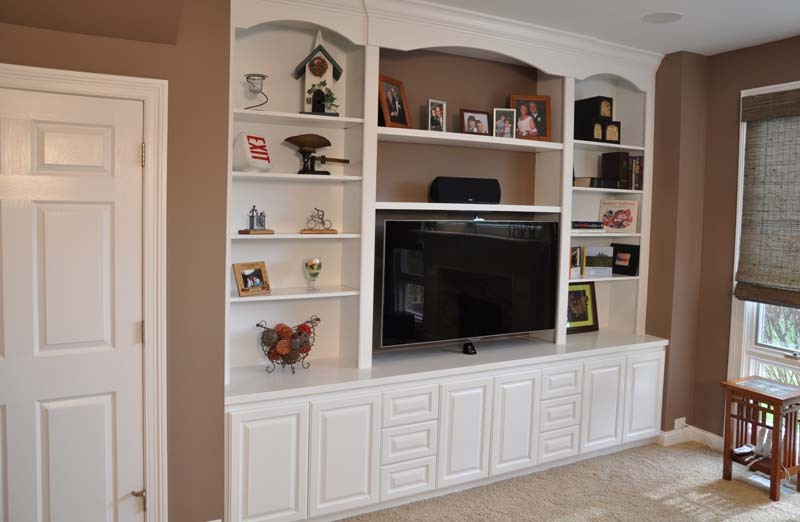 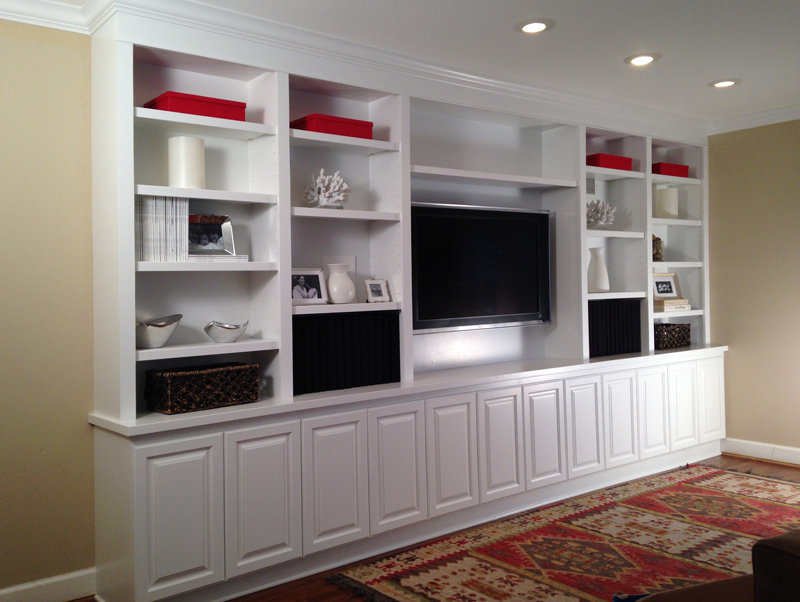 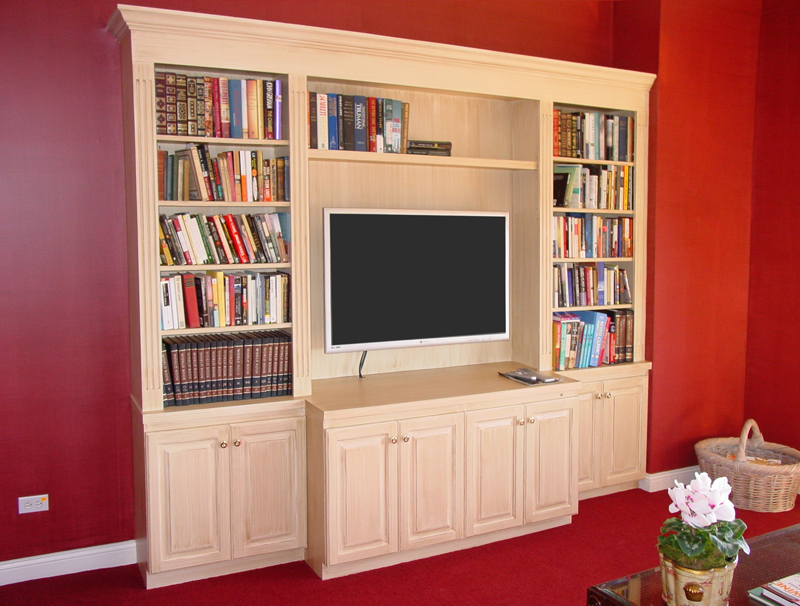 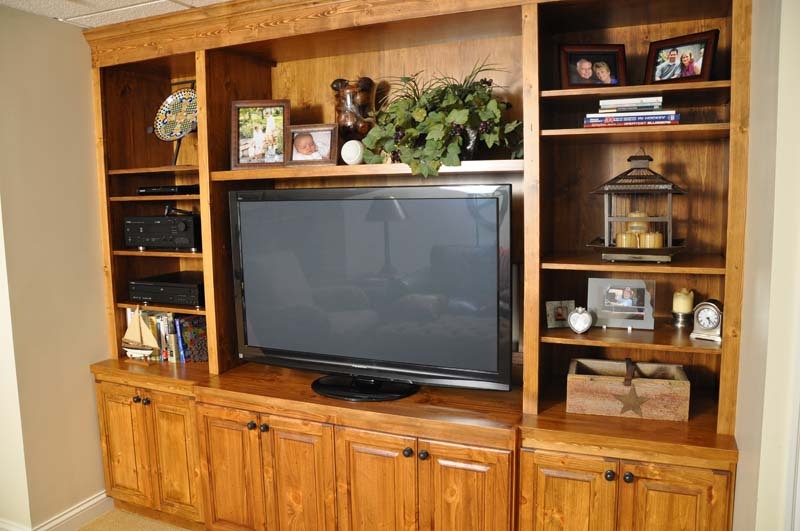 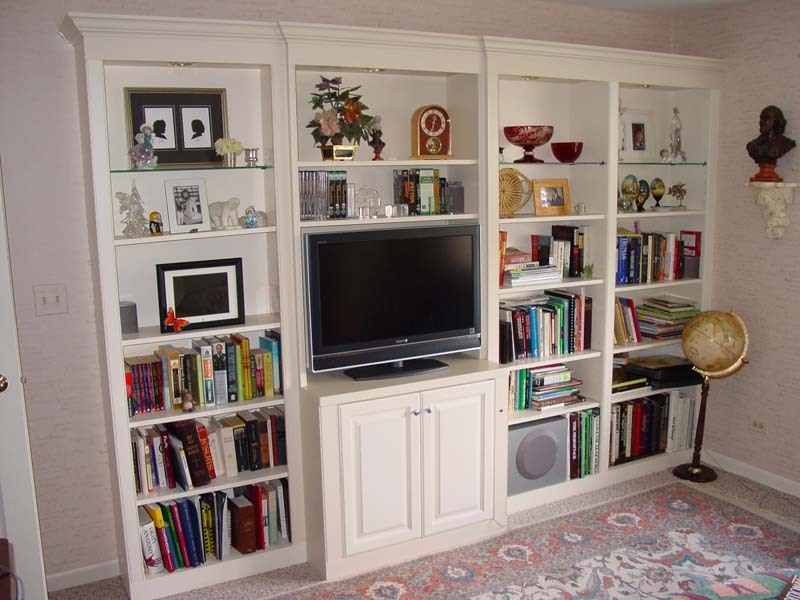 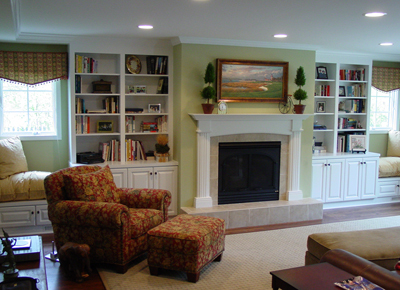 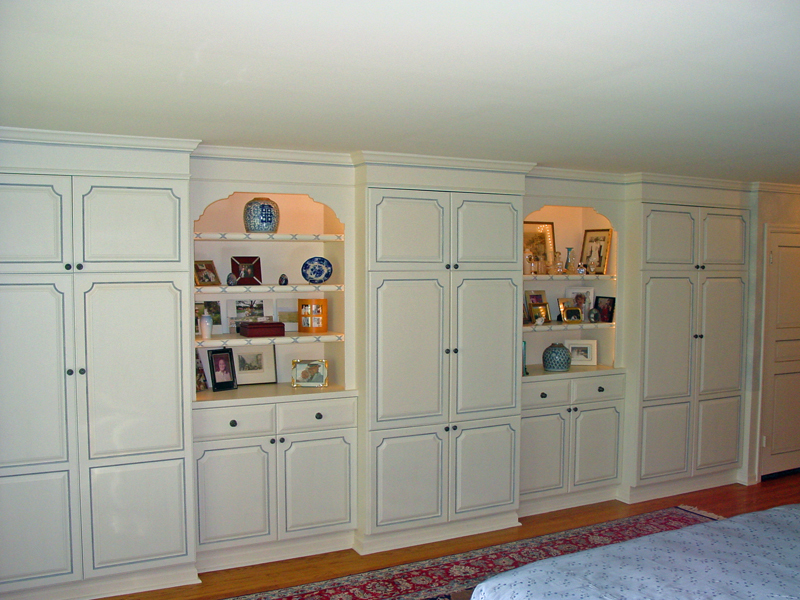 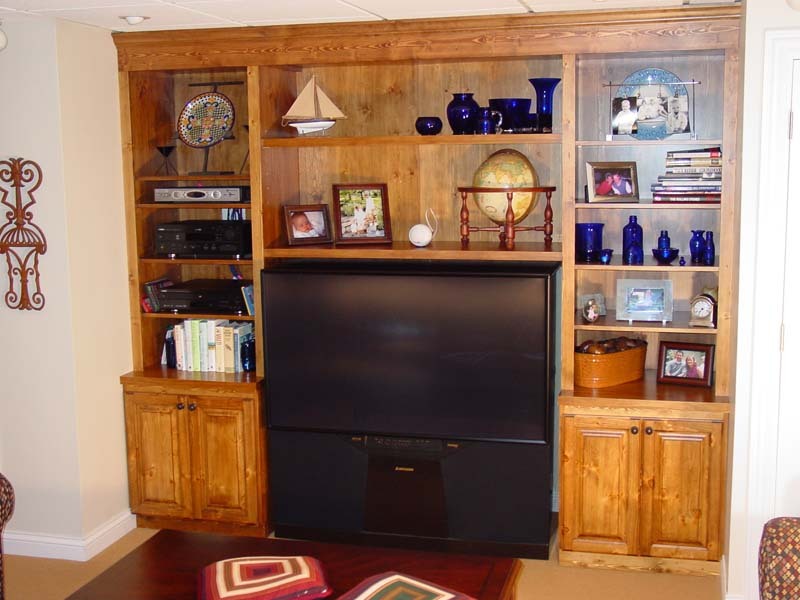 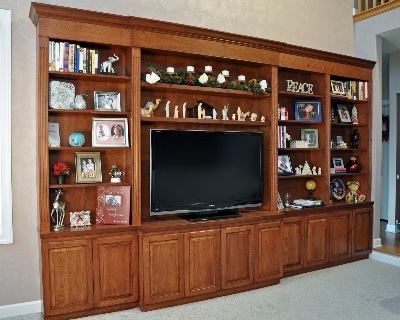 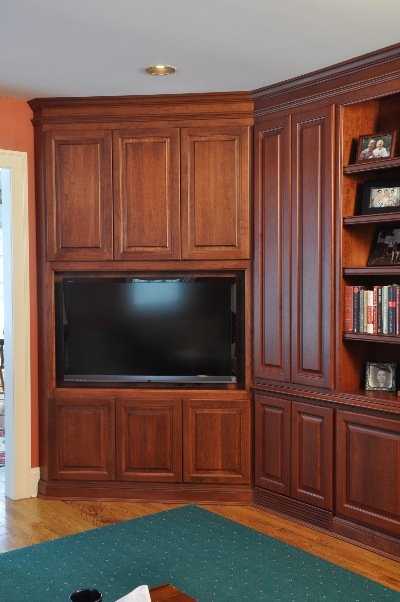 We will create your new, custom-built wall unit that will last a life time. This is a perfect place in the bedroom for a TV and a fireplace. 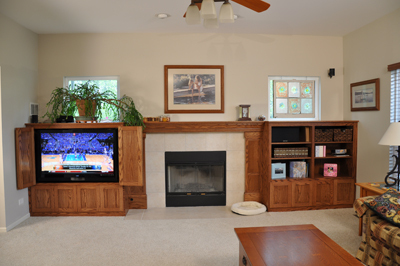 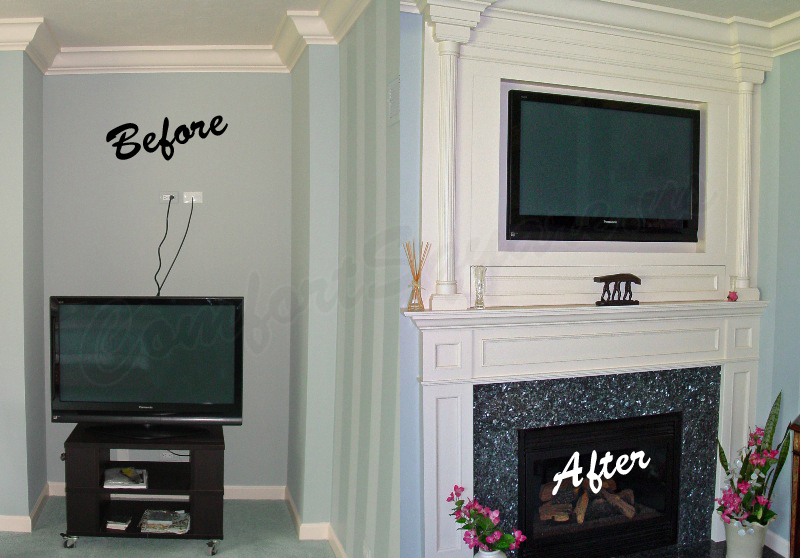 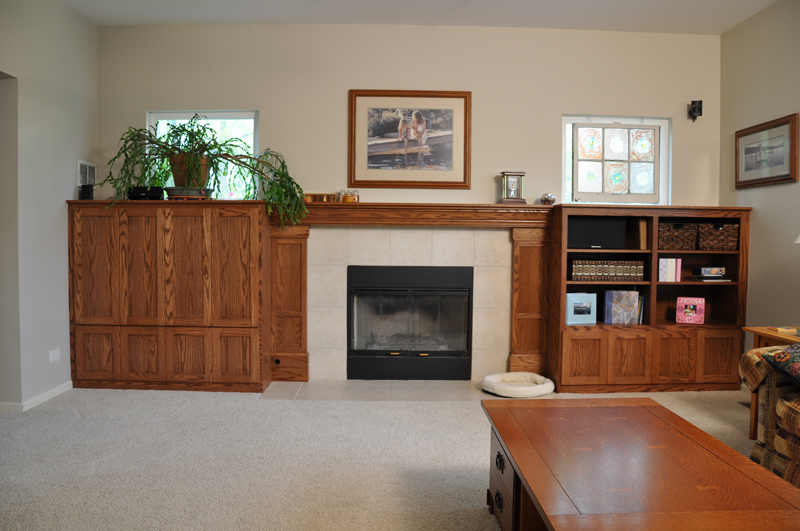 After a little measuring and some planning, we were able to incorporate the TV and fireplace into the space provided. 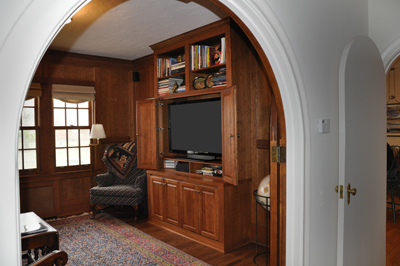 The flip-down door under the TV holds the cable box, etc. 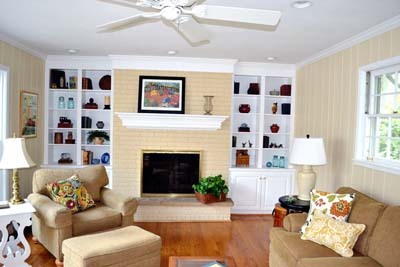 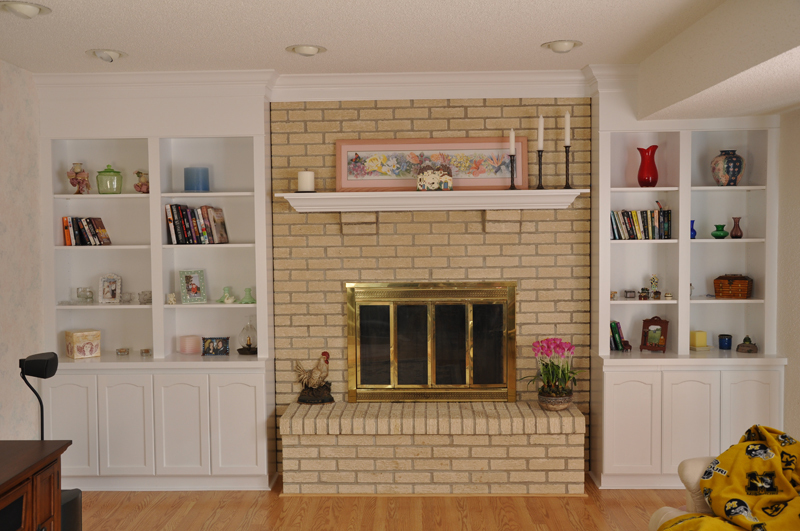 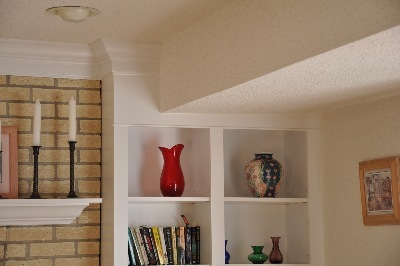 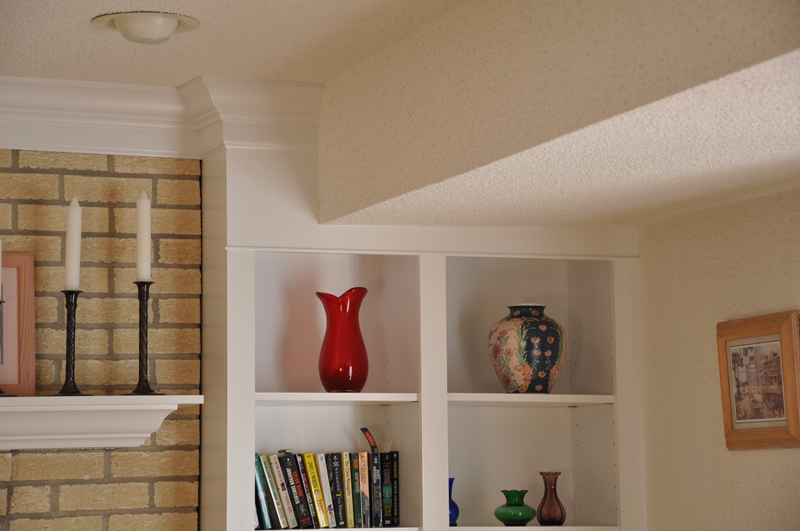 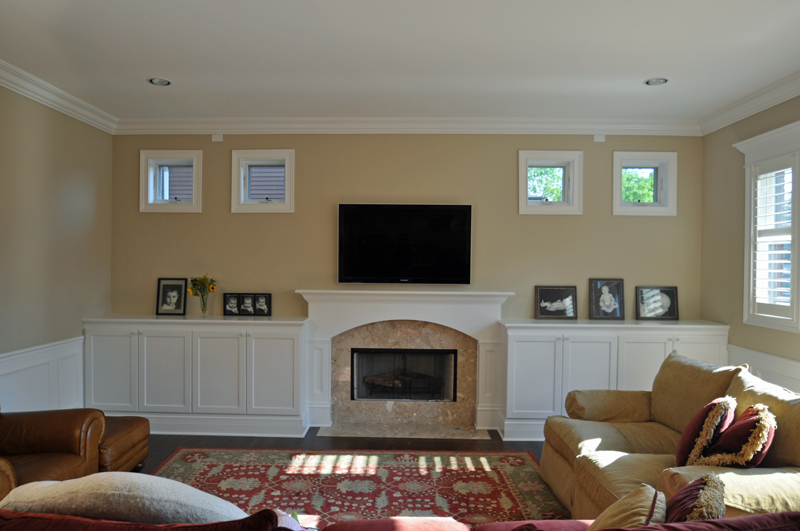 Mantels and window seats are often incorporated into the mix of cabinets and shelves. 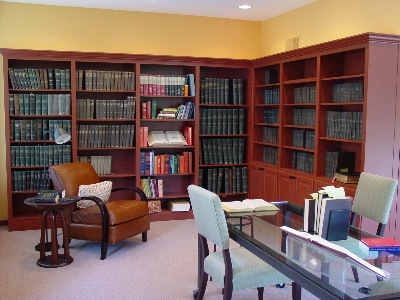 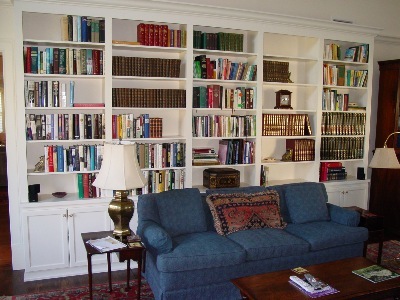 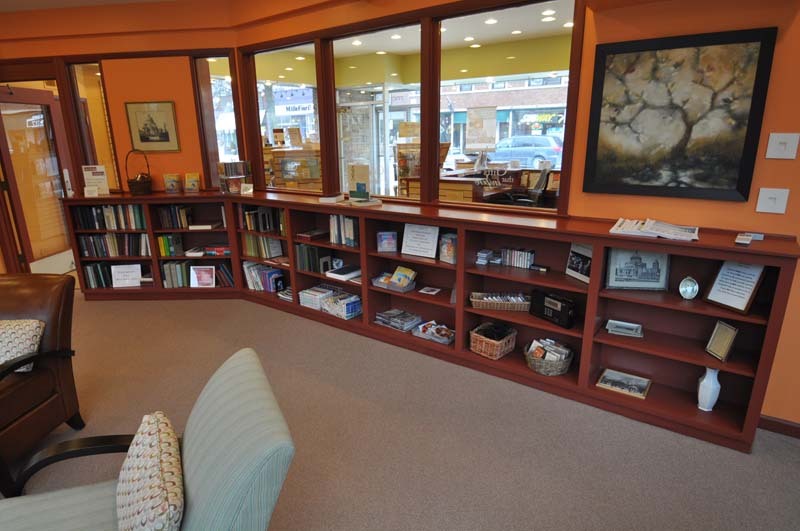 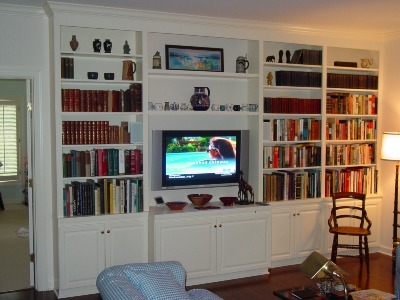 Shelves are usually adjustable to allow for a variety of books and artifacts for display. 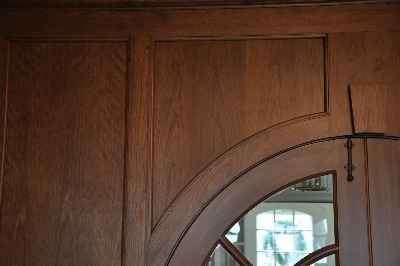 Crown moldings top it off and add a nice detailed look. 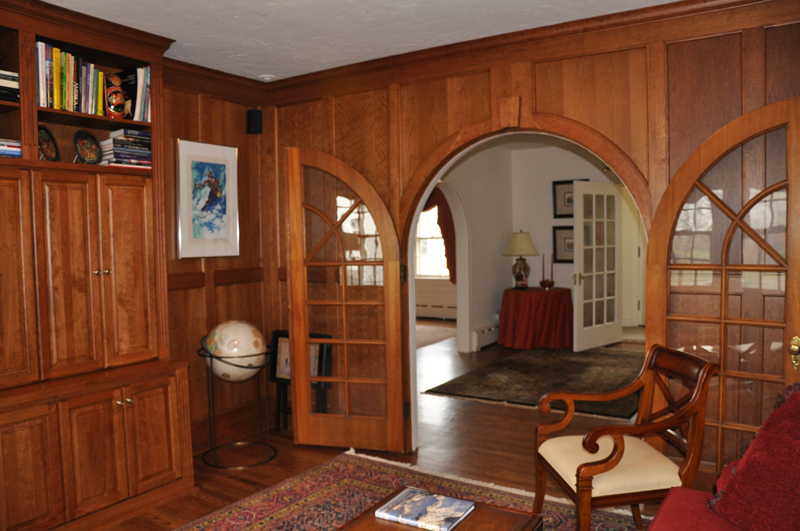 Details range from beaded boards, fluted stiles, arched doors and valances to custom carvings and moldings. 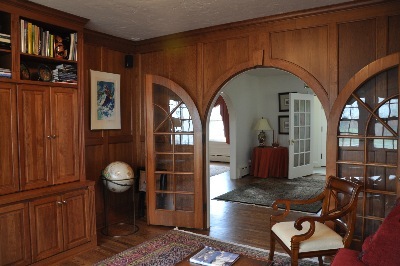 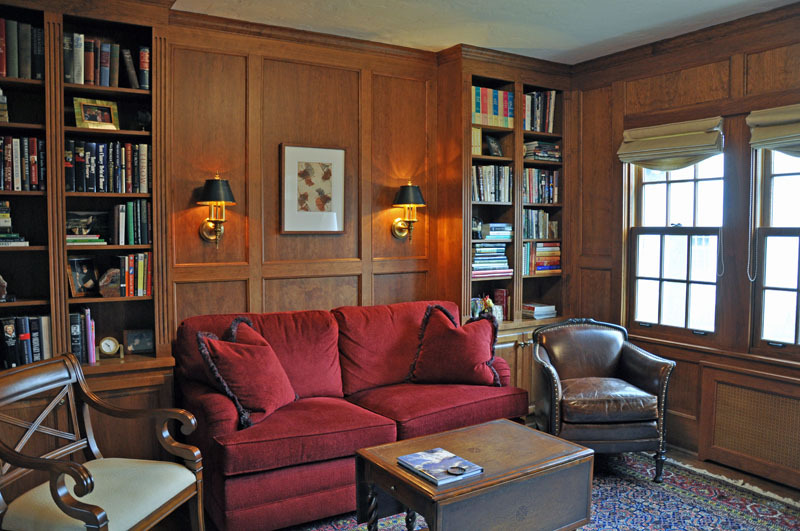 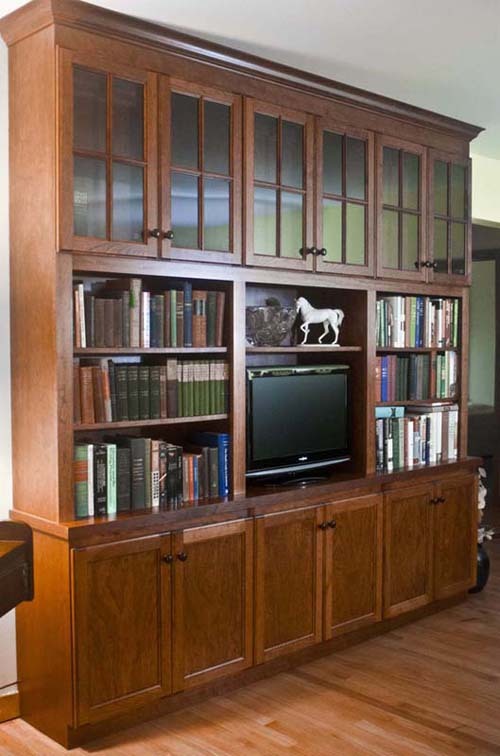 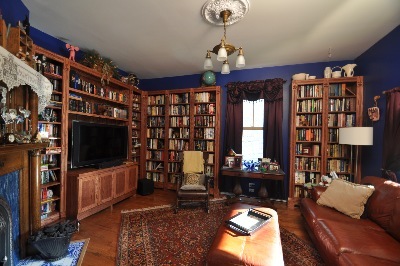 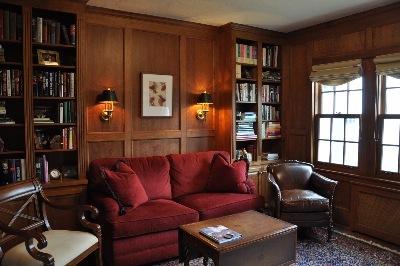 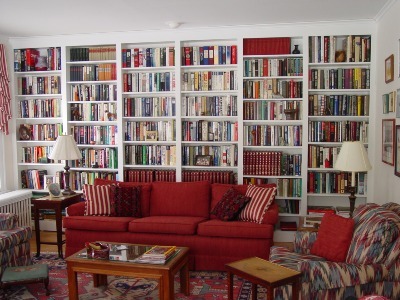 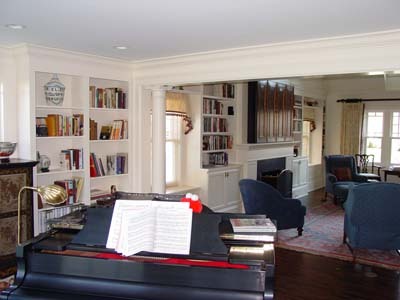 These four are from a room made entirely out of cherry, including the book cases, wall panelling, and a media center. 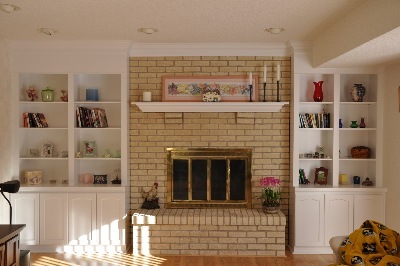 fireplace is ventless so it doesn't need a chimney! come up with a design to fit your space. 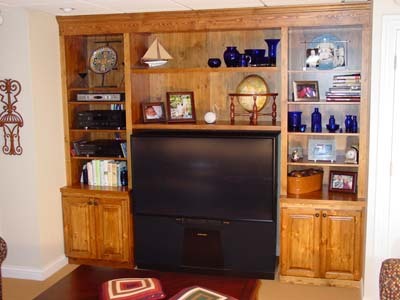 bought piece just won't work. has bi-fold doors to hide it when not in use. 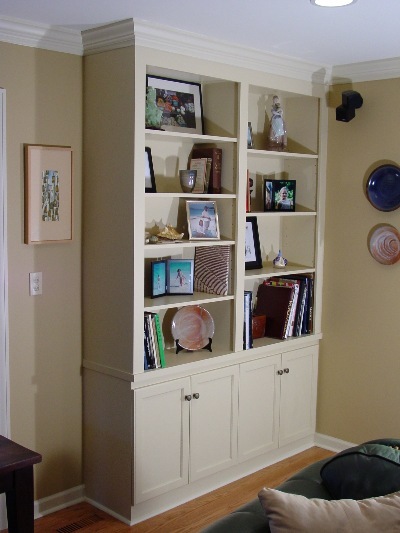 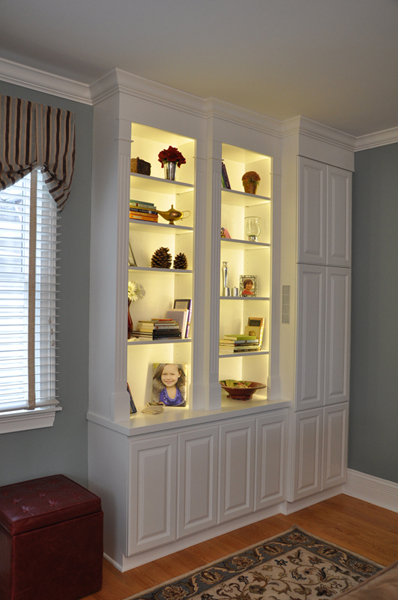 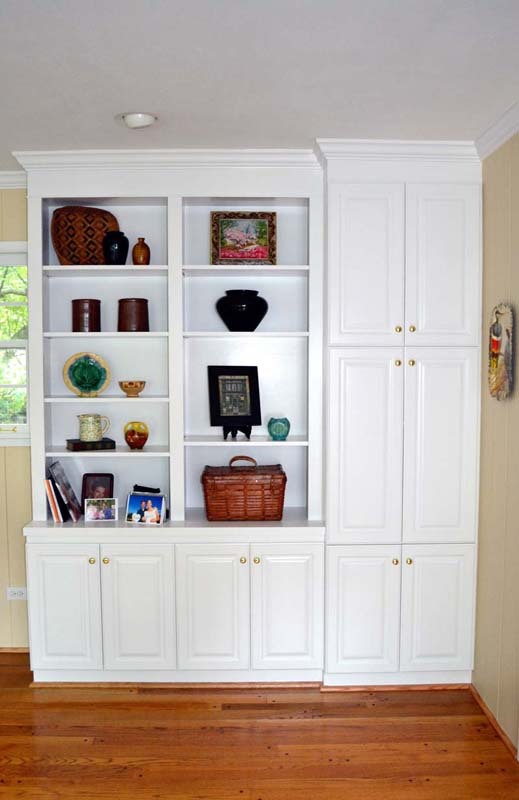 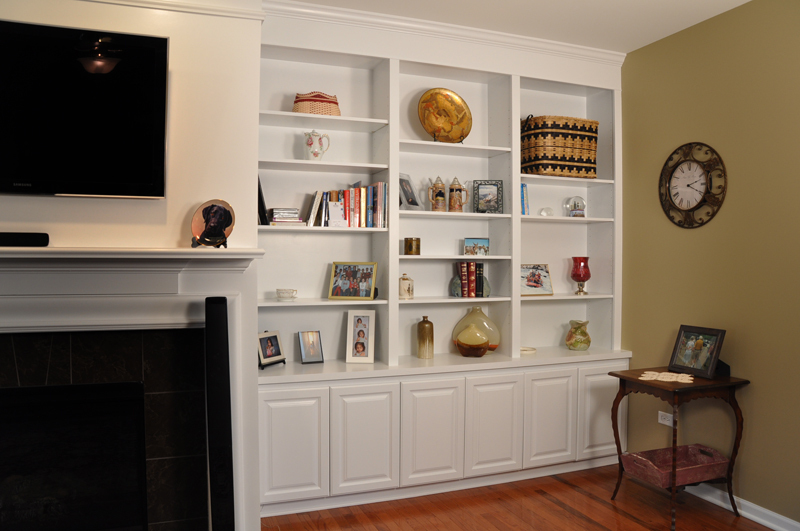 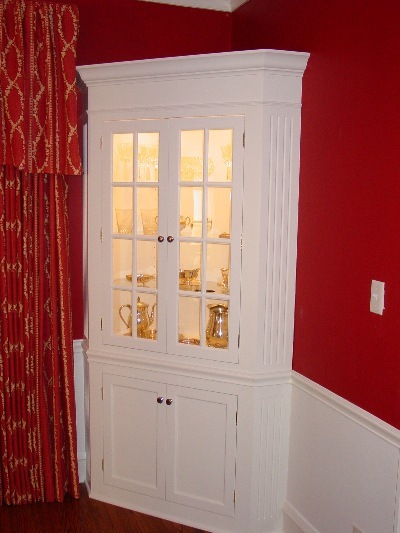 Built-In cabinets are a great place to showcase your collectables and artifacts! 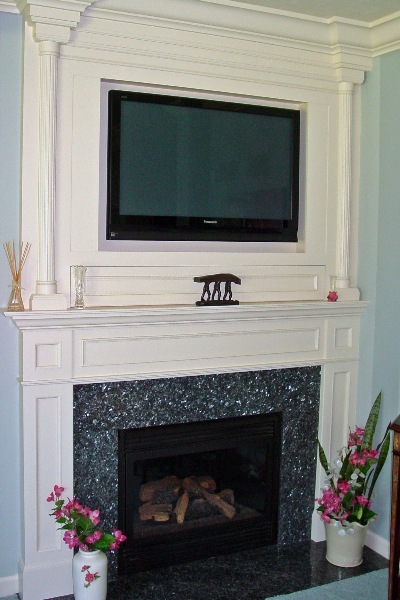 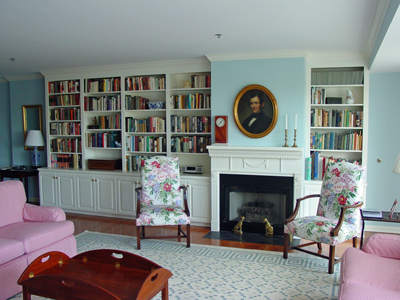 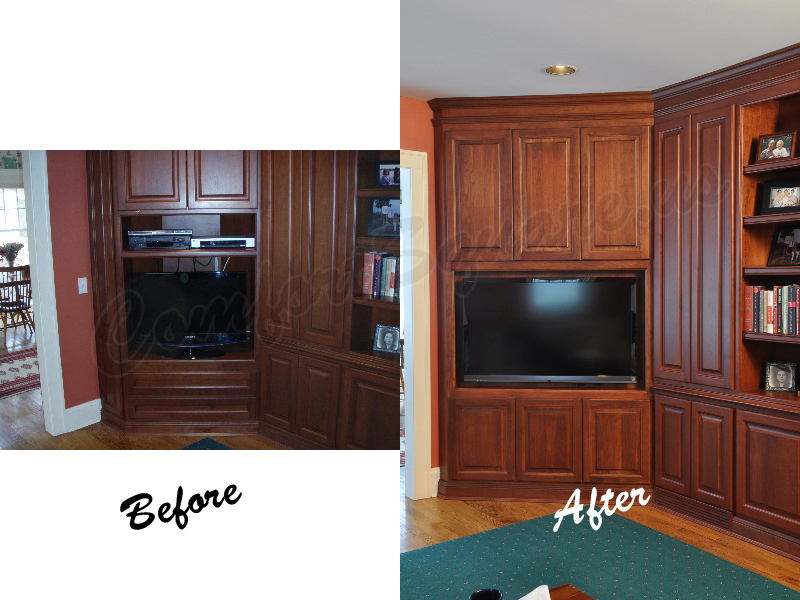 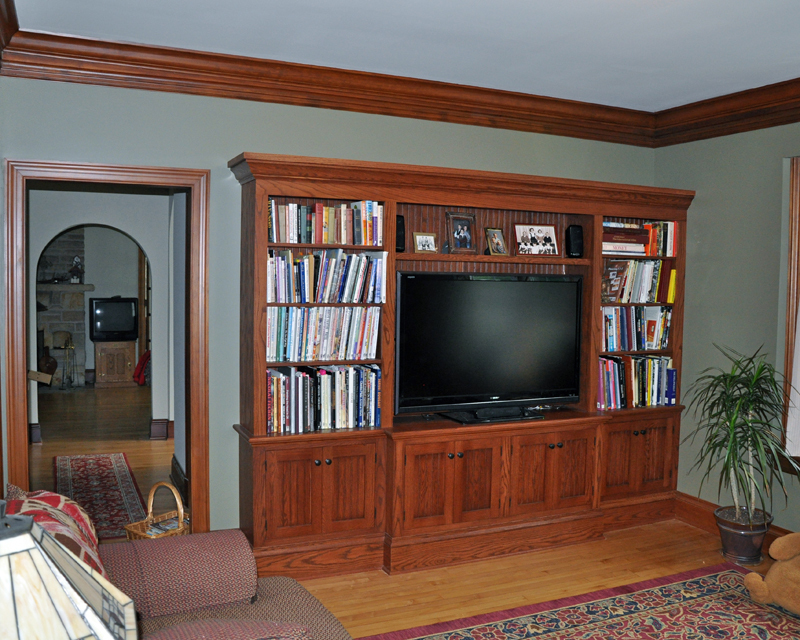 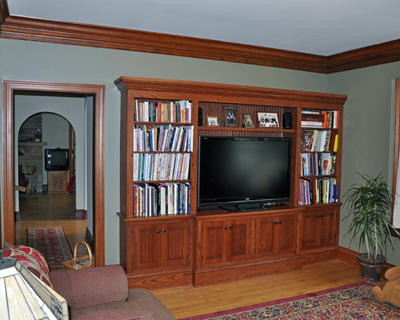 We originally built this in 2005, and then 10 years later we remodeled to accommodate the new television. 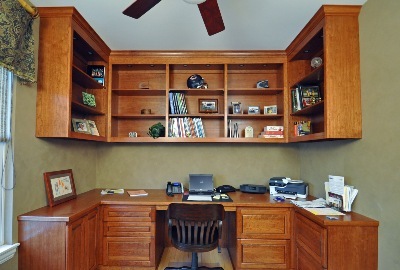 Having an office in your home is becoming more and more popular. 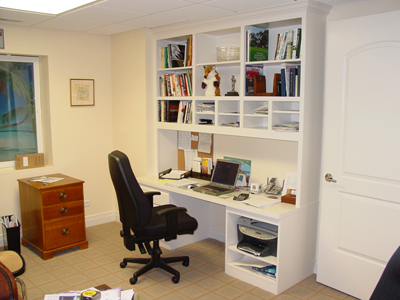 We can custom build your office for you so you will have everything just where you want it and have plenty of space to work. 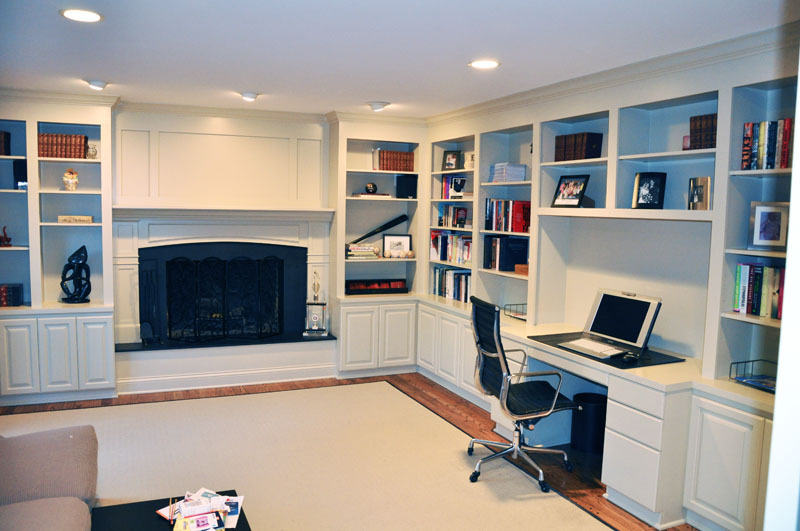 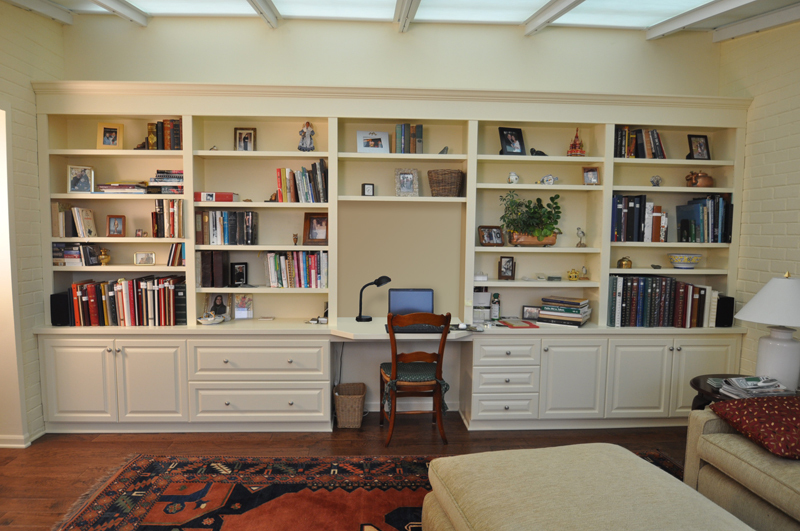 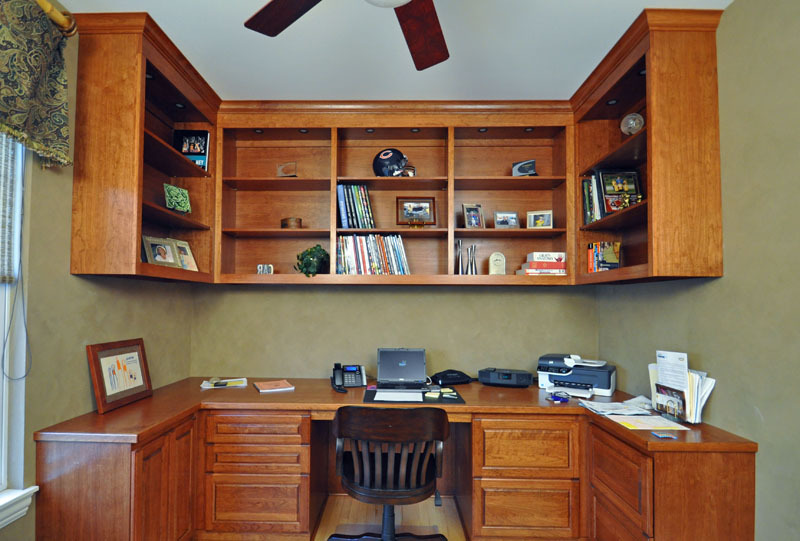 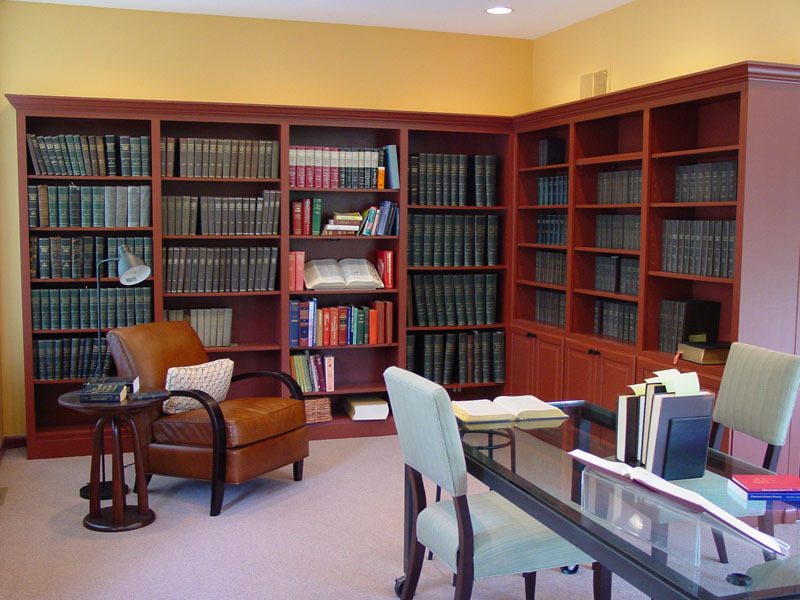 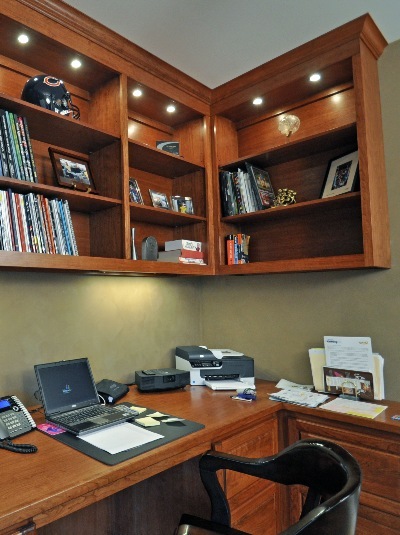 If you are going to spend alot of time in your home office, why not have one made to fit perfectly in the space? 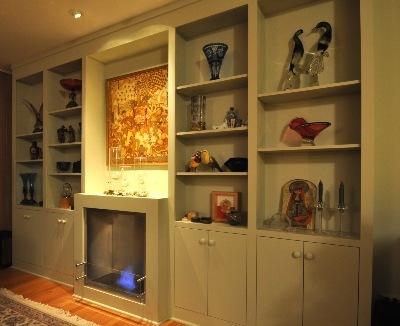 Don't keep them stored away, display them proudly! 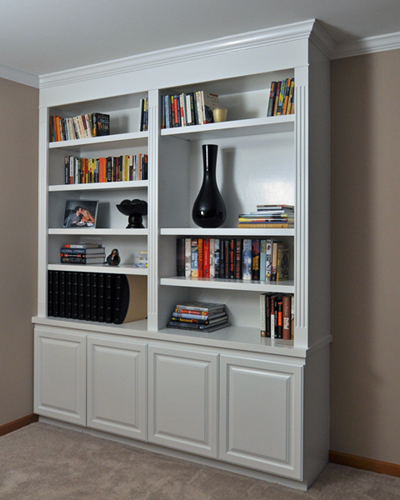 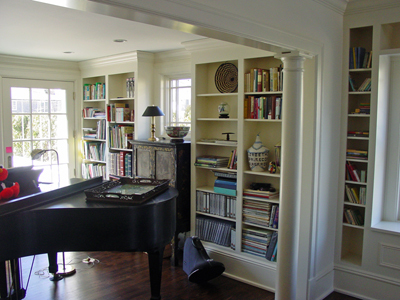 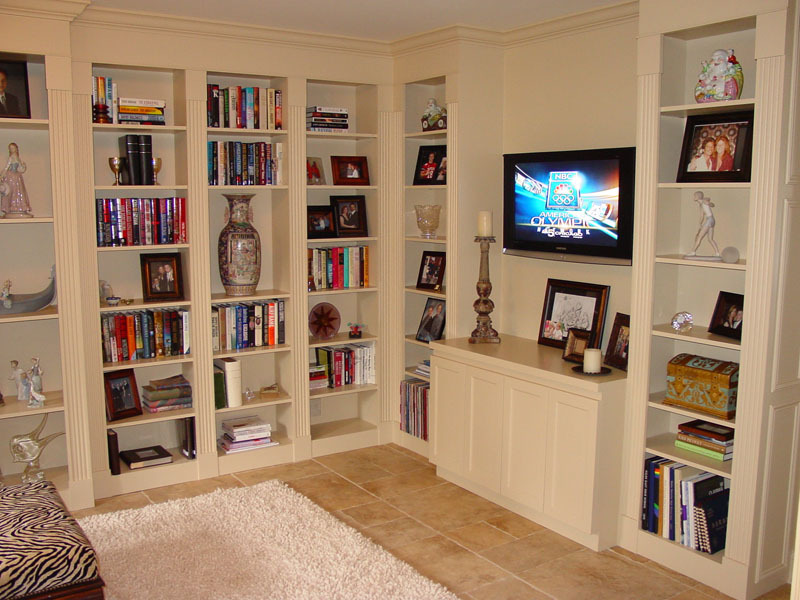 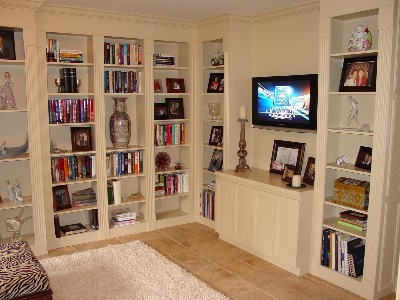 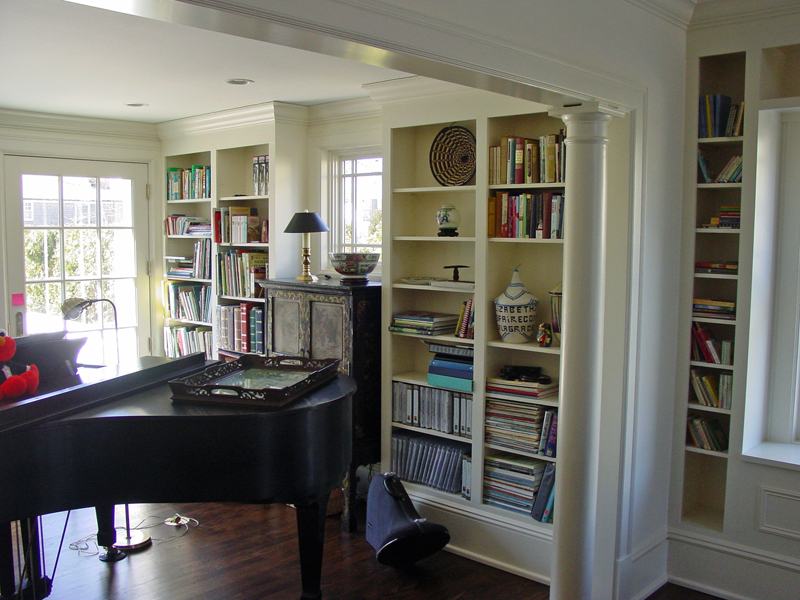 Books displayed in a custom designed bookcase can add color to a room and keep them handy when you want to read. 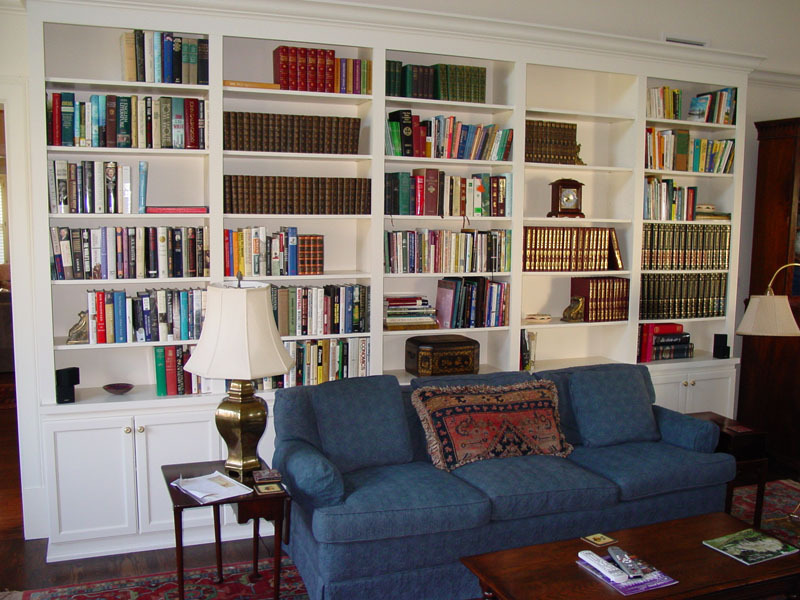 Bookcases usually have adjustable shelves that can be staggered or placed all at the same level depending on the look you want.